With only seven months until Spider-Man’s MCU debut in Captain America: Civil War, one of the persistent questions about this iteration of the Web-Slinger is what his costume will look like. The new suit is said to be different than the ones that have been seen before while still resembling classic Spidey, but that still leaves a lot to the imagination. Today, however, a new report emerged suggesting that the new Spider-Man outfit will feature a distinguishing mark from his earliest days in the comics. Heroic Hollywood heard Tom Holland’s Spider-Man costume will feature the classic spider symbol on the back. Although Tobey Maguire and Andrew Garfield’s Spideys both wore costumes that featured a spider design on the back, the website notes that this time around it will more closely resemble the oval shaped body with the stubby legs (as seen below). 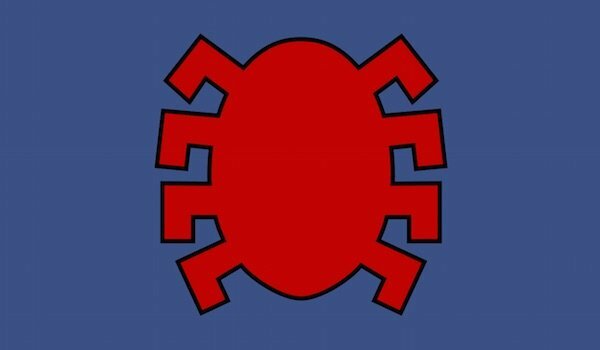 This symbol was apparently seen at a 15-minute screening for a theater staff which showed footage of Spidey’s costume, although all of this is unconfirmed at the moment. Assuming that the report of Peter Parker wearing two costumes in Captain America: Civil War is accurate, presumably this rumor applies to his more traditional suit. When audiences meet the MCU Peter, he’ll be a 15-year-old high schooler, but he’s already been active as Spider-Man for a bit. His first crimefighting suit may have more of a homemade feel to it, but by the end of the third Captain America film, he’ll don an outfit that looks closer to what he wears in the comics. The oval back spider design hasn’t been seen as often in recent years, but as Heroic Hollywood noted, this could be Marvel’s way of paying homage to old school Spider-Man. Maybe we’ll even get the webbing he used to have underneath his arms. This is just one of the latest rumors that has emerged about Spidey’s threads in the MCU. Back in July, a Twitter account supposedly belonging to the Russo Brothers (the directors of Captain America: Civil War) featured several enigmatic pictures that looked like they could have been sneak peeks at the costume. Tom Holland shot his Spider-Man scenes back in August, and the film itself wrapped production later that month. Unless Marvel releases an official still of Holland in the costume in the coming weeks, then we can only hope that the studio includes a glimpse of the web-spinning hero in the first trailer for the Star Spangled Avenger’s third film. You can see Tom Holland as the new Spider-Man when Captain America: Civil War is released on May 6, 2016, and the Wall-Crawler’s solo feature will swing into theaters on July 28, 2017.